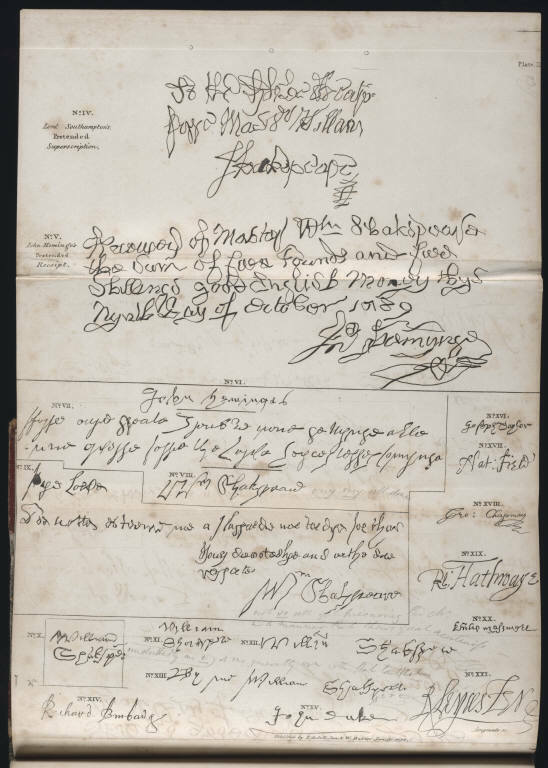 “How happy I am to have lived to the present day of discovery of this glorious treasure,” wrote James Boswell, on the recovery of an archive of Shakespeare documents in 1795. The discovery proved even more dramatic when the documents were revealed as a forgery by the nineteen-year old William Henry Ireland, son of a London engraver. In characteristically exhaustive, even exhausting fashion, Malone challenged Ireland’s documents in his An Inquiry into the Authenticity of Certain Miscellaneous Papers and Legal Instruments (1796). As the work was dedicated to the queen, and as from the appearance of the internal emblazoning, covers, &c., it had very probably once belonged to the library of that queen, I determined on endeavouring to establish it as the presentation copy from the author, whose name has now altogether escaped my recollection. 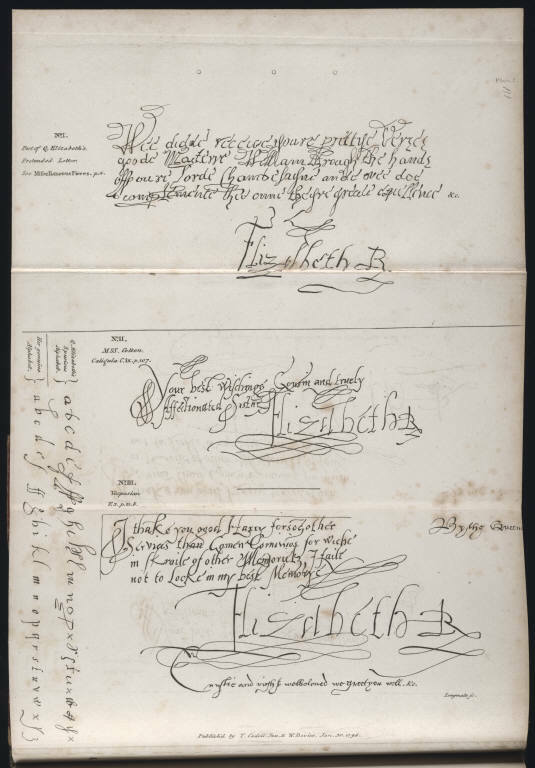 In order to compass this, I weakened some common ink with water, and on a piece of old paper wrote a dedicatory epistle, as if from the author, to Elizabeth, requesting her gracious acceptance and countenance of his work. This letter I thrust between the vellum cover and the paper, which had originally stuck to it but had then given way. This first venture led to a better source for old-looking ink, to a better supply of parchment and other materials, and to Ireland’s anxious creation of Shakespearean documents and seals. Ireland describes his difficulties with wax, and the scorched appearance of the Shakespeare manuscripts, from being held too close to the fire, as he tried in haste to dry and fade the ink. Ireland’s account, some ten years later, hums with self-congratulation. 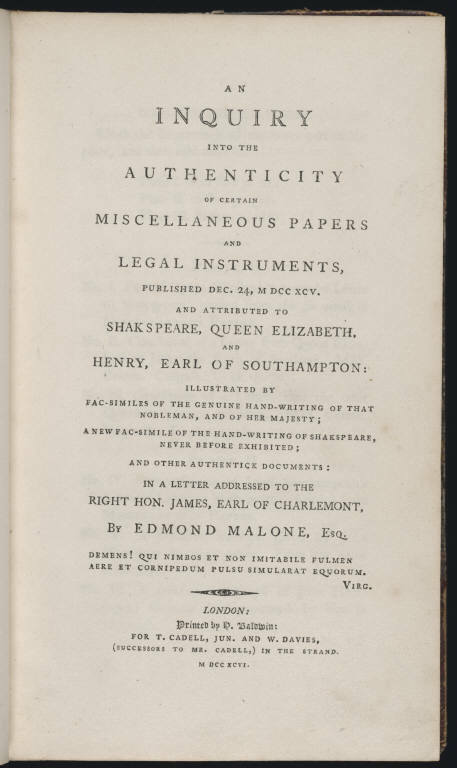 And yet, it is worth noting that while Malone faulted Ireland’s craftsmanship, pointed out his inaccuracies, disclosed his errors, the two works, Ireland’s Miscellaneous papers and legal instruments under the hand and seal of William Shakespeare and Malone’s Inquiry into the Authenticity, are not dissimilar. Together, they frame a forensic Shakespeare, an author reclaimed through the archive, through the dissection of material evidence. In their facsimile illustrations of signatures and seals, of authentic and inauthentic handwriting, Ireland and Malone share an undeniable fascination with the detailed anatomy of a textual corpus, the physical evidence of Shakespeare’s remains.